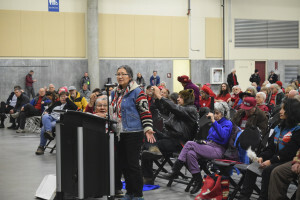 Clark County, WA – In what is believed to be the largest turnout for a public hearing in Clark County history, more than 1000 people attended today’s hearing on the proposed Tesoro Savage oil terminal in Vancouver along the Columbia River. An overwhelming majority of attendees oppose the terminal. 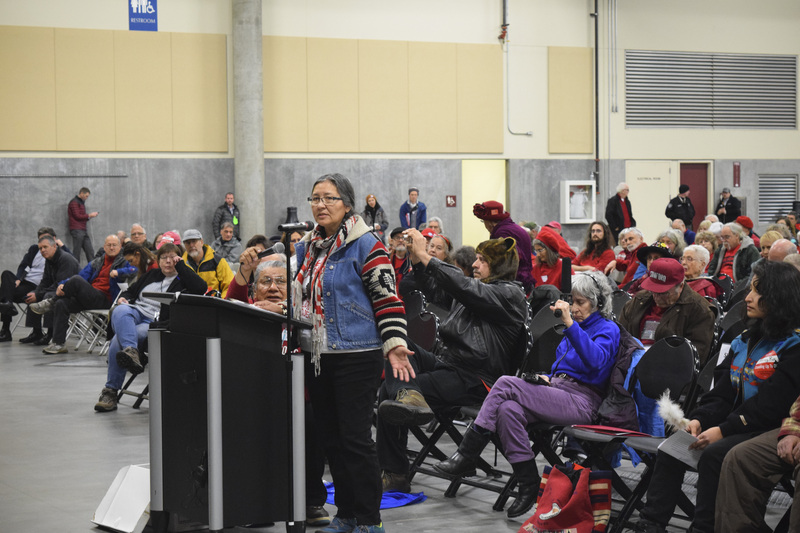 Local elected leaders, health professionals, Tribal leaders, union officials, business owners, faith leaders and other community members spoke up about the impacts of the terminal on the health and safety of communities and the Columbia River. Pointing to recent derailments across North America, much of the testimony on the Draft Environmental Impact Statement (DEIS) for the terminal focused on the increased risk of oil train accidents. The DEIS study predicts an oil train derailment on average every other year, but critics say the study is downplaying the risks. Speakers also testified about what’s at stake for fisheries and the maritime economy of the Columbia River in the face of a major oil spill. Oil from four trains per day coming into the proposed terminal would be transferred to oil tankers and barges for shipment down the river. 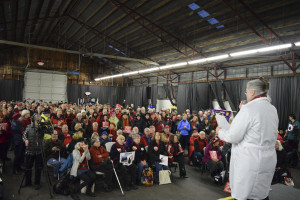 Health professionals point to the health risks of diesel fumes from oil trains and toxic emissions from the terminal. The Washington State Medical Association passed a resolution at its annual meeting to address concerns recognized broadly within the medical community. “Doctors are deeply troubled by the well-documented health and safety impacts of these proposals. In the eyes of physicians, this project is a potential community-wide public health disaster that we should not allow,” said Dr. Elisabeth Lee, a family medicine physician from Clark County. The Tesoro Savage proposal is opposed by the Vancouver City Council, Vancouver Firefighters Union IAFF Local 452, ILWU Local 4, Columbia Waterfront LLC, the City of Portland, the Columbia River Inter-tribal Fish Commission, the sportfishing community, the environmental community, and people from all walks of life across the Northwest. Comments on the DEIS will be taken until January 22.